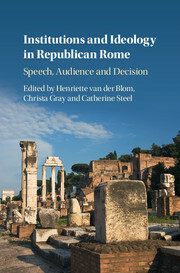 This volume brings together a distinguished international group of researchers to explore public speech in Republican Rome in its institutional and ideological contexts. The focus throughout is on the interaction between argument, speaker, delivery and action. 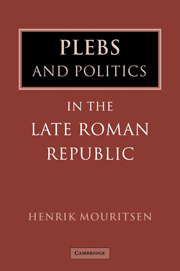 The chapters consider how speeches acted alongside other factors - such as the identity of the speaker, his alliances, the deployment of invective against opponents, physical location and appearance of other members of the audience, and non-rhetorical threats or incentives - to affect the beliefs and behaviour of the audience. 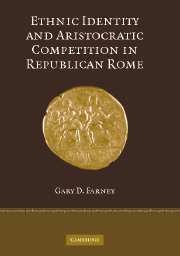 Together they offer a range of approaches to these issues and bring attention back to the content of public speech in Republican Rome as well as its form and occurrence. 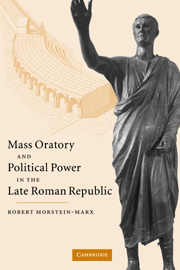 The book will be of interest not only to ancient historians, but also to those working on ancient oratory and to historians and political theorists working on public speech. 16. Gaius Verres troubleshooter Martin Stone. 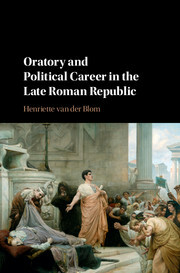 Henriette van der Blom is Lecturer in Ancient History at the University of Birmingham. 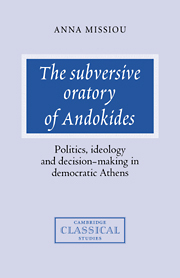 Her publications include Cicero's Role Models: The Political Strategy of a Newcomer (2010), Community and Communication: Oratory and Politics in Republican Rome (ed. with Catherine Steel; 2013), and Oratory and Political Career in the late Roman Republic (Cambridge, 2016). She is a member of the editorial board of the Fragments of the Roman Republican Orators project. Christa Gray is Lecturer in Classics at the University of Reading. 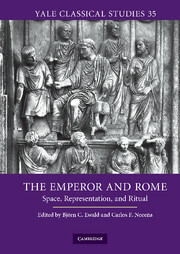 She is the author of Jerome, Vita Malchi: Introduction, Text, Translation, and Commentary (2015), and the co-editor, alongside Andrea Balbo, Richard Marshall and Catherine Steel, of Reading Republican Oratory: Reconstructions, Contexts, Receptions (forthcoming). She is a member of the editorial board of the Fragments of the Roman Republican Orators project. Catherine Steel is Professor of Classics at the University of Glasgow. 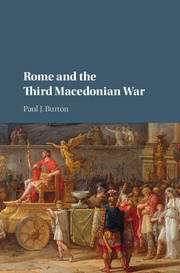 Her publications include The End of the Roman Republic, 146 to 44 BC: Conquest and Crisis (2013) and, as editor, The Cambridge Companion to Cicero (Cambridge, 2013). She is currently Principal Investigator on The Fragments of Republican Roman Oratory project.